Data connected, creative storytelling seen as a way to break through media clutter and connect with women. To succeed in today’s multi-screen, always-connected world, brands must go beyond the traditional 30 second spot to tell stories that grab her attention, wherever she may be. 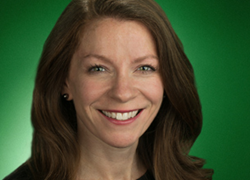 In a presentation on creativity, data and storytelling, Sadie Thoma, Google’s Head of Creative Agency Partnerships, will explore how brands are redefining creative storytelling to female consumers. Then marketers working with brands like L’Oréal, Pantene, and Kate Spade will join Sadie to share how they’re paving the path to more effective marketing to women in an increasingly cross-screen, data-inspired landscape at M2Moms® – The Marketing to Moms Conference, Oct. 3 & 4, NYC. The discussion will include, Kristin Naiman, SVP, Brand Creative, Kate Spade NY; Jaclyn Buccellato, AVP, Global Integrated Communications, essie at L’Oréal and Emma Armstrong, EVP, Global Account Director, Grey Group (Pantene). M2Moms® sponsors include Presenting Sponsors: Google and Cooper Tire & Rubber Company; Associate Sponsor: John Zogby Strategies; Showcase Sponsors: GfK, WebMD, Tinybeans, WongDoody, Music Together, Garden of Words, Purse Power, VML, World Kitchen, Tribe Dynamics, Ask Patty, Macaroni Kid, Strottman, Fletcher Marketing PR, House Party, Mom365, Marketing to Mums, Insight Farm, DeLonghi and Paco Collective. Video Content Resource Sponsor: Snippies. PMP, Paramount Market Publishing is the official M2Moms® bookseller. M2Moms® is proud to support Save the Children.